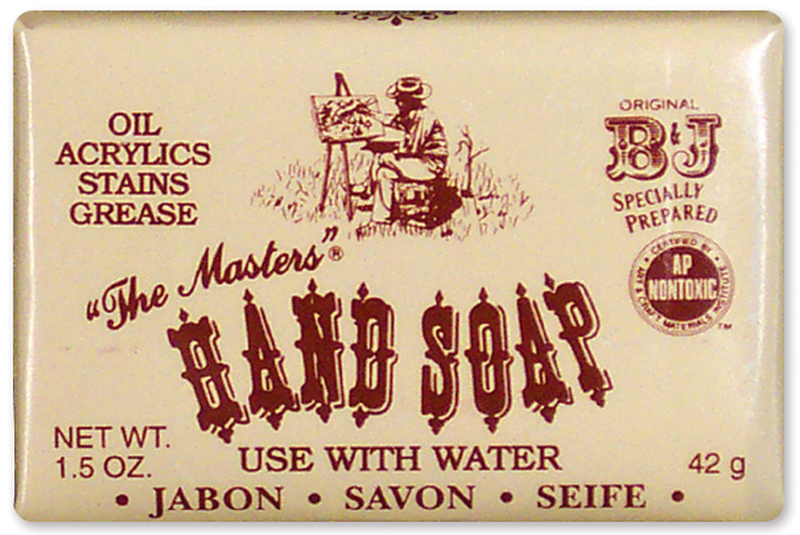 GENERAL PENCIL-The Masters Hand Soap. This soap is the perfect hand cleaner for artists no matter what your chosen media is! Removes paints including wet and dry: oil, inks, dyes, grass stains, grease, and grim. Ideal for painters, gardeners, crafters, and even mechanics! No need to use harsh chemicals or cleaners when you have The Masters Hand Soap. Conditions as it cleans. 1.4 ounce bar. Fresh Spearmint scent. Non-toxic: conforms to ASTM D4236. Made in USA.